Forgot iPhone Password? Here Are Real Fixes! When you read this post, I believe you must have forgotten your iPhone passcode like Sally. In fact, it's a very common phenomenon. If you continue to enter the wrong password too many times, your iPhone will disable itself for protection. 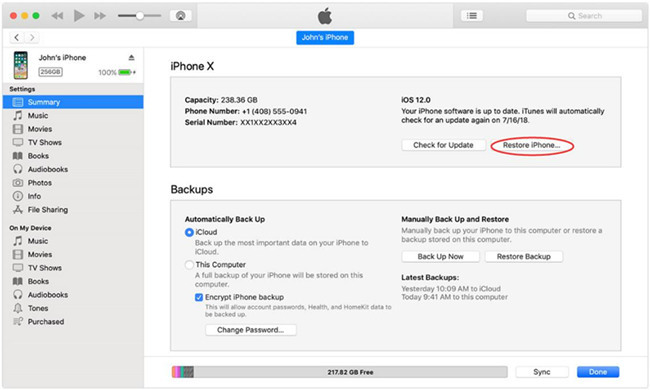 Unfortunately, the only solution to get into a locked or disabled iPhone is to restore your device, so all the data including the old forgotten passcode will be removed, and you can set a new passcode on your phone then. Now we'll share 4 common ways to fix your iPhone when you forgot iPhone passcode. Step 3. iTunes will detect your device in the recovery mode and ask you to "Restore" or "Update" it. Choose the "Restore" option to remove your iPhone passcode. If it failed, repeat the procedure and try it again. Step 3. Confirm the "Restore" option and wait until the restoring process completes. Now your passcode is unlocked and you can set up your phone with a new password. Step 3. Then press the "Erase iPhone" button and a few minutes later, your forgotten passcode and all data will be effaced. Now you may get three possible ways to restore your iPhone without any cost and you may ask why I need to use a third-party program to do the same job? This is because the aforementioned methods either have some limitations or have lower success rate. 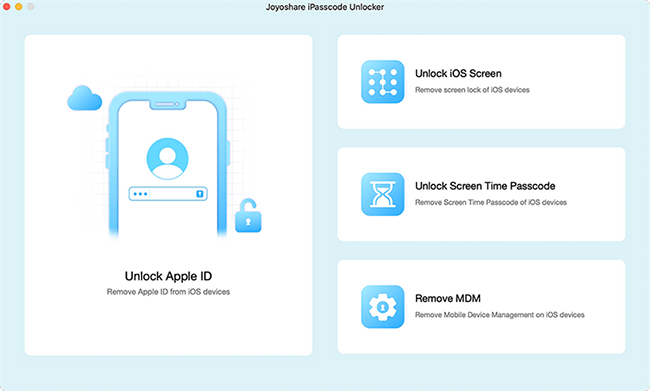 Thus, here I strongly recommend you to try this professional iOS unlocking tool named Joyoshare iPasscode Unlocker. Joyoshare iPasscode Unlocker is a reliable iTunes alternative to remove iPhone lock screen, without any limitation. You don't have to sync it to the computer or with iCloud. More importantly, this powerful program is 100% working and secure, no matter how your iPhone is locked or disabled. It's easy to operate and anyone can use it to remove iPhone passcode in a couple of clicks only. 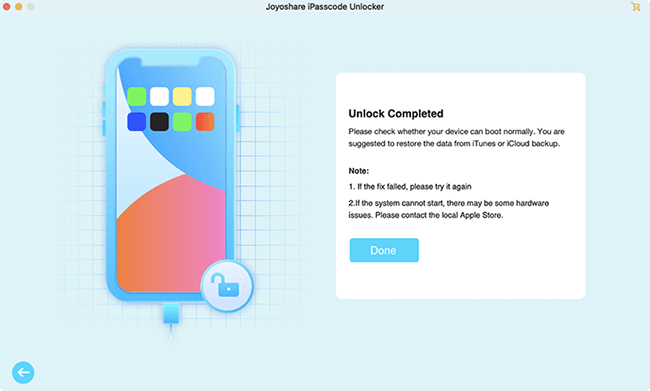 It is pretty easy to use Joyoshare iPasscode Unlocker to remove iPhone password and reset it, just read this following step-by-step guide and do it right now. Open Joyoshare iPasscode Unlocker on your Mac or PC. Then connect your device to the computer with a USB cord. Press the "Start" button after your iPhone is detected successfully. Follow the steps on the interface to put your device into the DFU mode. If it failed, you can switch to the next option at the bottom to place iPhone to the recovery mode. Then click the "Next" button to proceed. 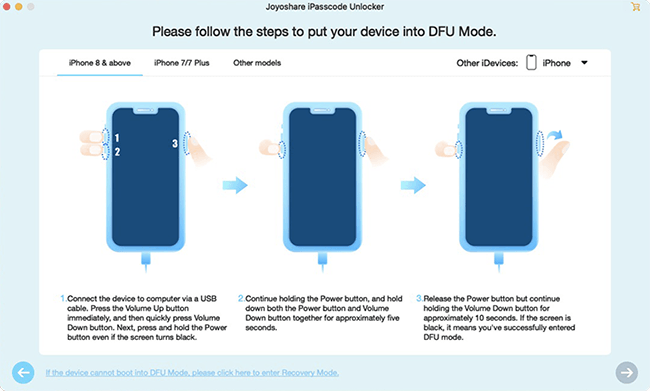 When your device entered the DFU or recovery mode successfully, you can now check the device info such as iOS version, etc. If everything is right, you can press on the "Download" button to start downloading and verifying the firmware package. Now just be patient to wait the download and verification. 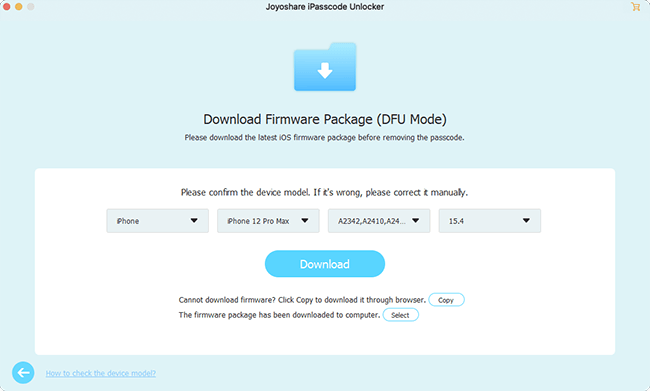 Once it's done, you can click "Unlock" button and Joyoshare will unzip the firmware package and unlock the passcode. When the process is finished, your old password will be removed. The following table clearly shows you the advantages and disadvantages of these four ways to unlock password when you forgot iPhone passcode. You can pick the best one according to your needs.